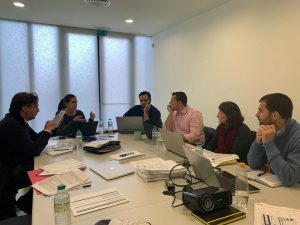 A project whose main objective is to strengthen the civic and social participation of migrants in the EU through innovative media for education ! AMSED and 4 other structures, namely : HEI, Research and Development Center on Educational Technology, 3 associations / networks of adult education focused on social education and a research center specialized in civic education, EU policy and culture, started to implement this project. They come from different countries: Malta, Portugal, Cyprus and Austria. The current project proposes to design and develop an inclusive, interactive and user-friendly digital toolkit for migrants, refugees and asylum seekers, which will include fun online training modules for the socio-cultural, political and economic environment which will be accessible via mobile applications and platforms. This program will help young adults from immigrant backgrounds to become familiar with the EU (rights, obligations, values, opportunities, culture and civic participation) in order to facilitate their integration into their (European) host societies.